Traveling for the holidays should be fun for the whole family. 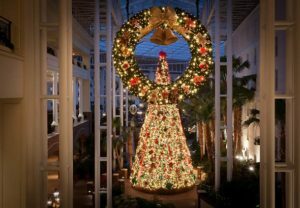 A Wonderful Holiday at The Gaylord Opryland Resort delivers just that, fun for the whole family. 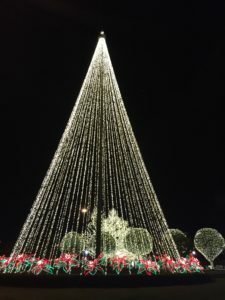 The Country Christmas Holiday Tradition last year included an ICE show along with a slew of other events, there is something for everyone of every age to enjoy. 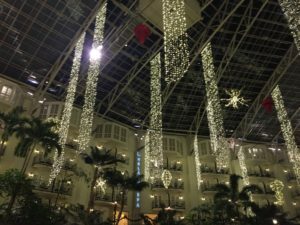 I stayed at the Gaylord Opryland Resort, and was completely WOW’d with all the events and shows they have for the holidays. First thing I saw driving up to the resort was how beautifully decorated it is. From the pathway, off the main road to the valet area to the check in at the entry, it was all so beautifully done. Then as we walked to our room, we couldn’t help noticing all the Christmas cheer everywhere you looked. There were beautiful lights hanging from the ceiling and poinsettias in every direction. After we got settled in our room that overlooked all the Christmas splendor, we headed down for dinner at the Cascade Restaurant that is located on the main floor. We ordered a delicious drink and appetizer to start of the meal. 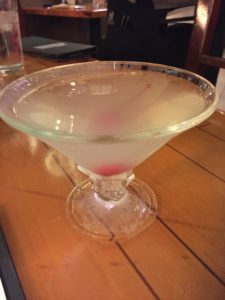 I ordered a Pear Tree Martini and my friend ordered a glass of wine. We each ordered an appetizer and my crab cakes were some of the best I have ever had, I am a sauce gal, you guys hear me talk about sauces all the time, and the citrus rémoulade sauce that came with my crab cakes was amazing, tangy, and flavorful, it really added to the taste of the crab cakes. Our entrée was next and there were so many choices, it was very hard to choose, so we each picked one and then shared. 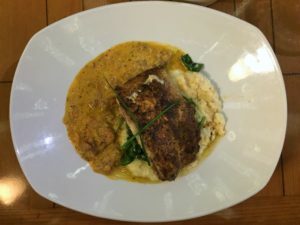 I chose the Crispy Seared Red Snapper that came with creamy goat cheese polenta, wild mushroom ragout and sizzled shallots. 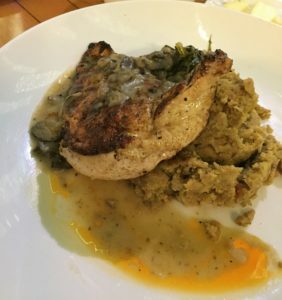 My friend ordered the 10 oz French cut chicken breast that came with cornbread stuffing, and braised greens. We finished off our meal with a Starbucks coffee and a wonderful slice of the key lime pie, I know, I always get key lime pie, I just can’t help myself, it’s my favorite dessert, and boy was it great. 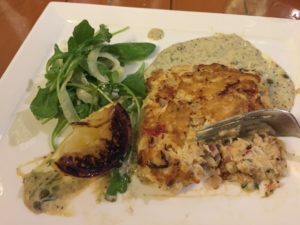 Did I mention, there are over 15 different place to enjoy a meal or drink at the resort, including in-room dining, it is truly a wonderful resort, with so much to offer. Because it was so late, we decided to enjoy the ICE show and events the next day. 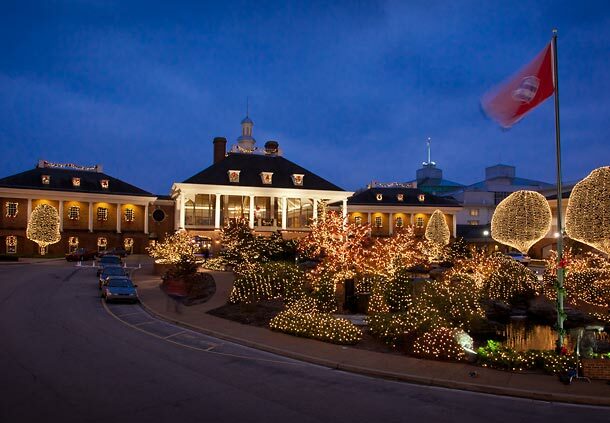 That also gave me time to walk around the grounds and see all the wonderful attractions that Gaylord Opryland Resort offers during the regular season. There is a boat ride, I know, an actual boat ride inside the resort, it takes you around. 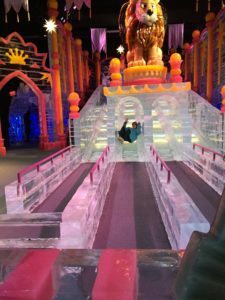 Our first stop had to be the ICE show, each Gaylord resort offers an ICE show with a different theme, and at the Gaylord Opryland Resort, the ICE show theme is Rudolph The Red Nosed Reindeer. 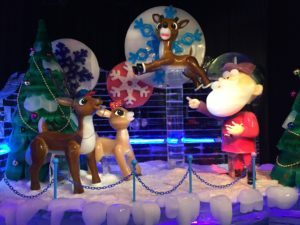 You will experience scenes from the family favorite Rudolph the Red Nose Reindeer brought to life with hand-carved sculptures from more than two million pounds of ice. 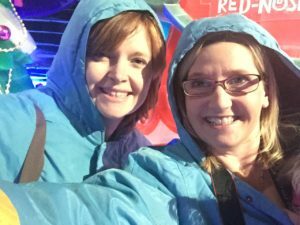 We were not prepared for how cold it was going to be in the ICE show, but don’t fear, the Gaylord Opryland was prepared, they had big blue jackets for everyone to wear, and good thing, because that ice slide was even colder, but so much fun. After we viewed the Rudolph The Red-nosed Reindeer ICE Show, we sat down in the lobby/gift shop and enjoyed a cup of hot cocoa, it tasted wonderful, especially after being in the 9 degree temperatures of the show. There were so many other things to do along with the ICE show like Breakfast with The Grinch and Photos with Santa, there is even an Elf on the Shelf Scavenger Hunt. 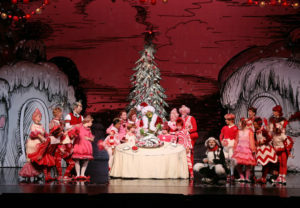 And be sure the kiddos get a chance to do Cookies with Mrs. Claus. 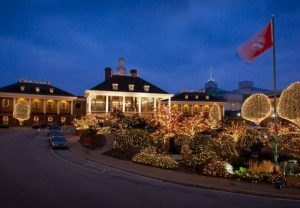 For a full list of events, head on over to their website at www.ChristmasAtGaylordOpryland.com, you can purchase tickets, check out all of the events and even check out the menu at many of the various restaurants at the resort. 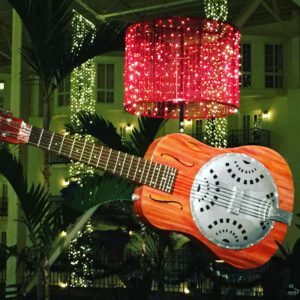 I would highly recommend bringing your whole family to the Gaylord Opryland Resort during the holiday season, with so much to do, you never need to leave the grounds, but if you decide to venture out, there is an abundance of things to do in the Nashville area, like the famous Broadway Street, and Music Row, and of course Opryland. Be sure to bring your camera, you could even take your family Christmas photo to use for your Christmas card. but all of the opinions are my own. I saw you tweeting about art and I thought I’d check out your website. I really like it. Looks like Adeina Anderson has come a long way! Thank you for all the suggestions. Have a wonderful day.